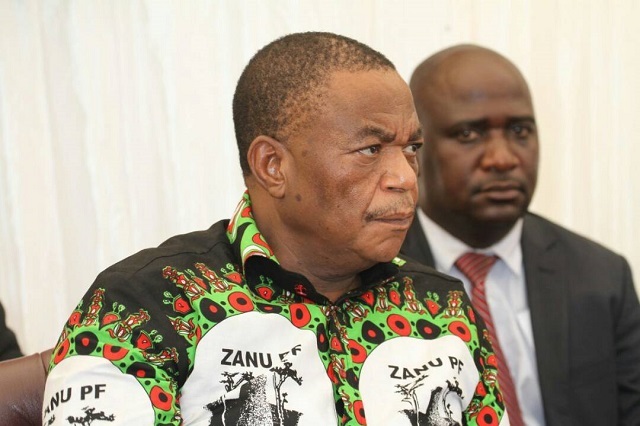 Vice President Dr Constantino Chiwenga yesterday encouraged Zanu-PF supporters, who might have joined the MDC during the previous administration, to return home and assist in developing the country. He said there was no hope in the opposition. VP Chiwenga made the call while addressing thousands of Zanu-PF supporters at Gwanzura Stadium in Highfield, Harare. He said President Mnangagwa was toiling to turnaround the economy and uplift the lives of the people. This, said VP Chiwenga, was evidenced by developments in the health sector where patients above 65 years and children below five years are no longer paying user fees. Patients are also now getting blood for free in Government hospitals. VP Chiwenga said President Mnangagwa was in the process of constructing roads, boosting electricity generation and establishing empowerment banks to ensure people access funding. He castigated MDC-run councils for failing to deliver services, yet residents were paying rates. "We are aware of the challenges you are facing. You do not get safe water everyday, but you are made to pay high rates even for the service that is not available. "In some areas, the sewerage systems is no longer functional and we will make sure that we correct that. "We are also aware that street lights are no longer functional. You have tried going to MDC to seek solution for your challenges, but for the past 18 years the party has done nothing for you. "Better you come back home to Zanu-PF, the political party that brought Independence. Let us unite and build the Zimbabwe we want," said VP Chiwenga. He said Highfield, like Mbare, was an important area in the history of Zimbabwe, especially during the early days of the liberation struggle and urged residents not throw away the legacy. "It is also in Highfield that people gathered at Zimbabwe Grounds and marched into town demonstrating and this brought the new political dispensation. "The Zimbabwe we are building will never be the same again. When President Mnangagwa was sworn in, he proclaimed that Zimbabwe was open for business to both local and foreign investors. All the interruptions that have been preventing development were removed and now we are open for investment. "We need investors to come and improve our infrastructure, mining and tourism sectors. "We no longer had tourists coming to our country. We want investors to come peacefully and even those whom we had quarrelled with are welcome so that we promote development and create employment. For us to develop we need peace. "Instead of concentrating on fighting, we should unite and focus on developmental issues that bring food on the table and create employment. Now we are heading towards elections and we should vote peacefully. "Supporters and candidates should campaign peacefully and the electorate should vote peacefully. It is not good to fight, we should have free, fair and credible elections," he said. VP Chiwenga said Government was in the process of establishing factories and industries to create employment for the youths. He urged residents of Highfield to vote for President Mnangagwa and Zanu-PF on July 30.